I spent the entire week between being at school and doing homework. 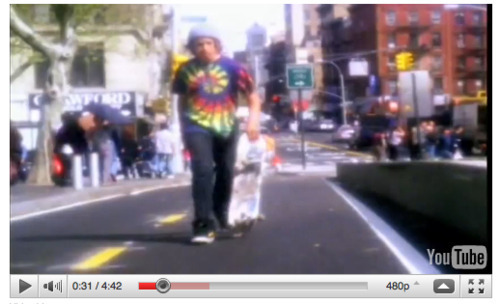 But whenever free time was available, if I couldn’t go and skate, I watched skate videos. I often go back to one of my favorites, is a video of Yaje Popson, who grew up in New York. Whenever I watch a video of a New York skater, I like to point out spots, and tricks that I have done there.